I met Tami, the owner of Stitch, when I was at Quilt Market in Pittsburgh this spring. She is so sweet, and I could tell right away that she had a fun modern shop. If you're in the Des Moines area, be sure to check out the shop! I only wish the shop had been open years ago when I would drive through Des Moines to visit my sister in Ames! Tami sent me this cute little quilt to be custom quilted. 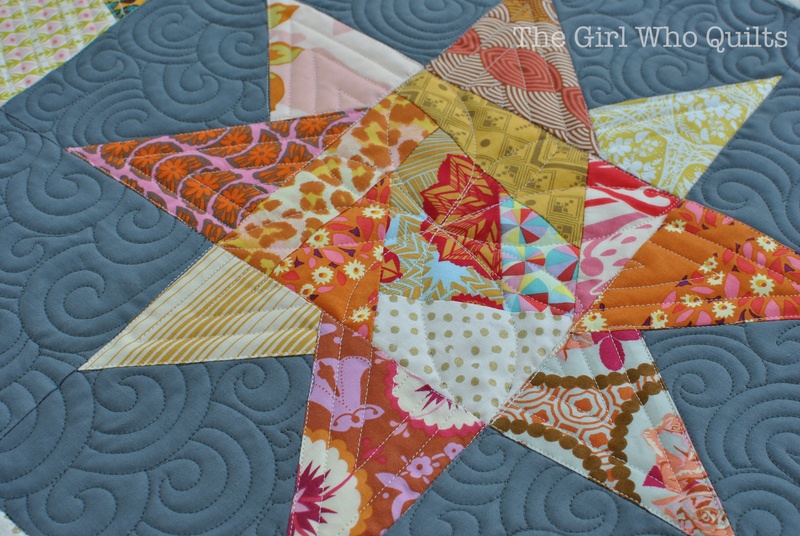 Her only request was that the quilting not be so dense that the quilt isn't soft and snuggly. 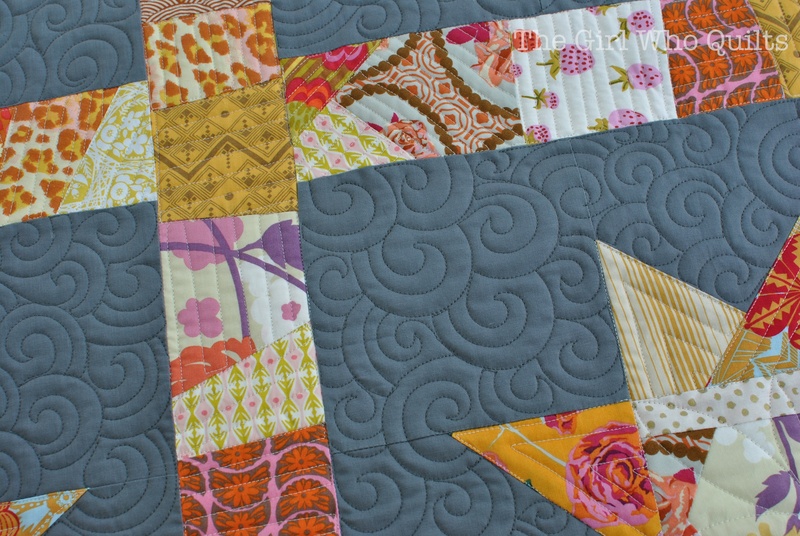 I swirled the dark grey background to give the quilt great texture without distracting from the fun piecing. In the pieced borders I quilted straight lines about 1/4" apart that shifted with the angles of the improv piecing. 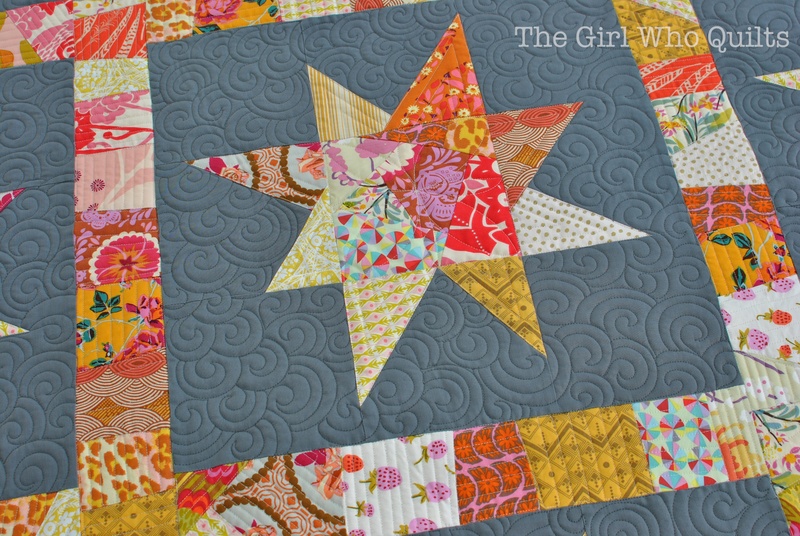 And for the stars I quilted straight lines in the points and a simple flower in the centers. It's so fun to quilt for others, because I get to play with so many different styles of piecing! 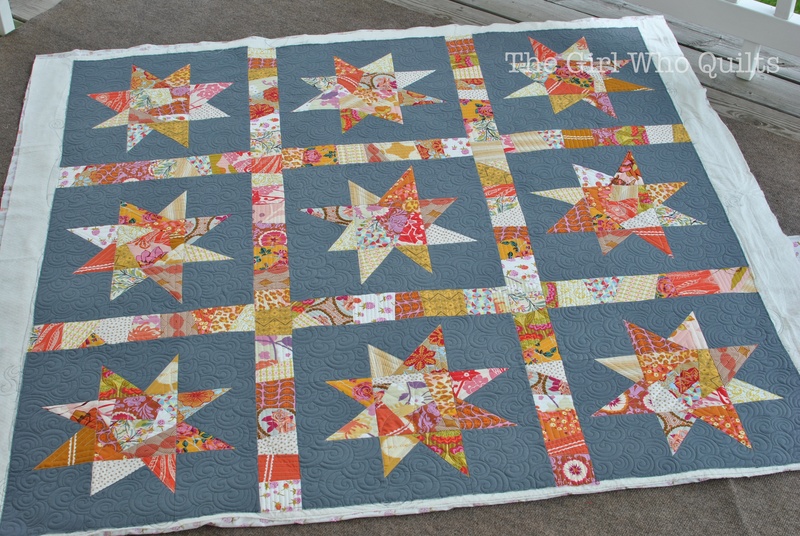 Thanks for having me quilt for you, Tami!